Have you found an online vendor selling Ron Centenario Real? To me, this is the BEST rum I've ever tasted after over 395 reviews. Absolutely extraordinary! First of all, I'll disclose that I LOVE Ron Centenario Rums, and I've already rated five of them a perfect '10'. But to me, this one definitely tops them all! Smells and tastes of caramel, molasses, oak, vanilla, with just a hint of whiskey/scotch. Not so much to be dominant, but a perfectly light amount. Nicely sweet and wonderfully smooth too! Aged 30 years according to the bottle. All of these are exceptional to me, of course, as I scored them all a '10'. But this is my favorite. 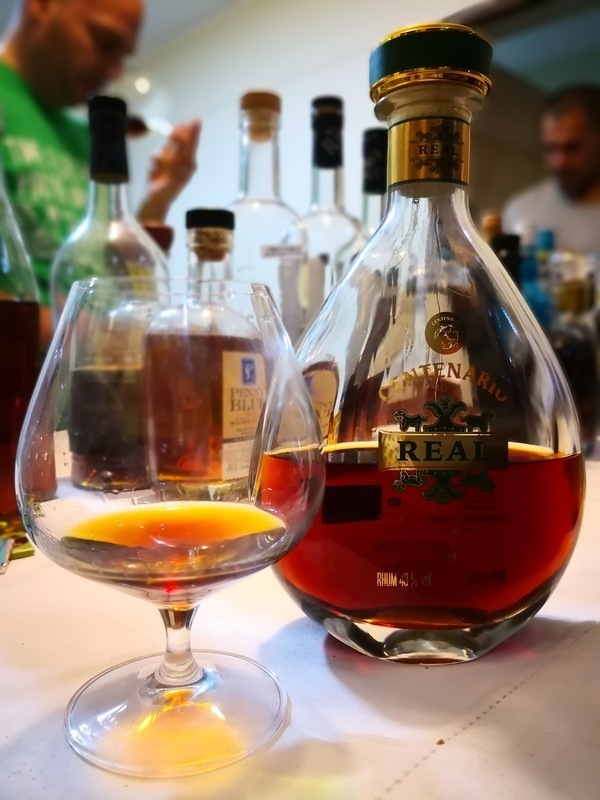 Not cheap at around $300 USD, but I HIGHLY recommend trying it if you like Ron Centenario Rums. Or maybe even if you don't, because the light whiskey aging separates this from the other Centenarios! I must be honest and say that i still don't have the privilege of having my own bottle of this delicious rum, however i have tried it thanks to a couple of friends who have their own bottles, and every time i have tried it, it was always great. It's a very well structured and balanced rum, soft and with a great flavor. Debo ser honesto y decir que aún no tengo el privilegio de tener mi propia botella de este riquísimo ron, sin embargo lo he probado gracias a un par de amigos que tienen sus propias botellas, y cada vez que lo he probado me ha parecido magnifico. Es un ron muy bien estructurado y equilibrado, suave y de sabor estupendo. Wirklich einer der „Großen“ dieser Rumwelt. Hat für mich aber Zuviel „Biss“ (Alkohol). Da ist der Diplomatico Ambassador oder der Centenario 30 weitaus milder. 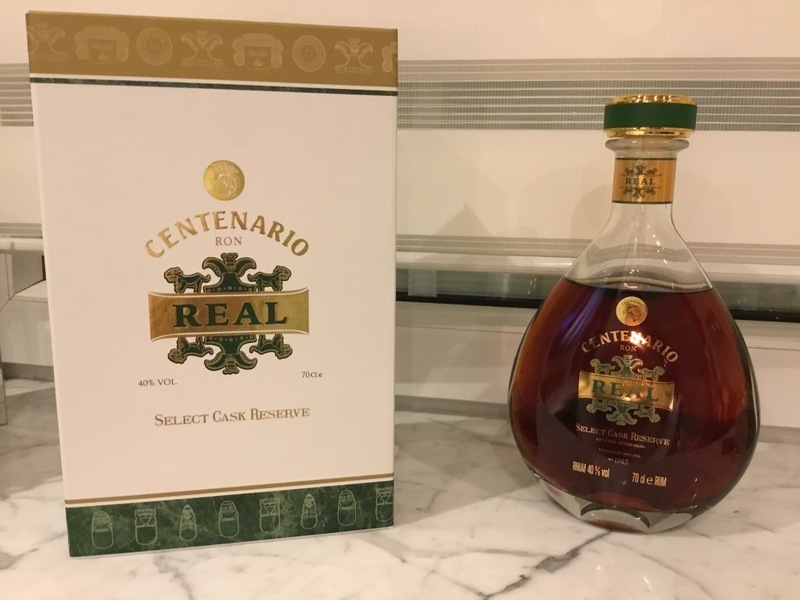 Ron Centenario Real is only available in Costa Rica at the airport tax free. Entering the country its $180, exiting the country its $195. I searched for a bottle of Ron Centenario Real all over in Costa Rica for 4 days without any luck. I visited several luxury hotels, bars, the top 5 rated restaurants according to TripAdvisor and you simply cannot find a bottle outside of the airport. The bottle design is very high end and the green sturdy box surrounding the bottle is fantastic. Masterfully blended from 15 to 30 year old vintages. Deep mahogany color. Plenty of oak and a hint of caramel vanilla to the nose. Taste buds are treated with a super smooth but quite whisky like flavor profile. Hardly any burn at all. If you like your rums whisky like, then Ron Centenario Real will be easily one of the best rums out there. For me, it will earn a spot in the Top 30 list as a new entrance.